FleishmanHillard has temporarily closed its office in Kiev, Ukraine, due to political unrest in the country. The agency, which opened its Ukraine office in a joint venture with Vanguard PR last November, is shutting down its Kiev office for the time being as a precautionary measure. It will continue to monitor the situation closely, said John Saunders, regional president of EMEA at the agency. "A first priority for us is to ensure that our own people are safe, and that means right now we don't have people on the ground in Kiev," he explained. Protests in Ukraine began last autumn when President Viktor Yanukovych formed a tighter political bond with Moscow and backed away from integration with the European Union. Riots worsened in recent months, leaving dozens of people dead. At the end of February, Yanukovych fled Kiev and went to Kharkiv, a pro-Russian stronghold near the border of the country. Earlier this week, Russian leader Vladimir Putin sent military troops to Crimea, Ukraine, to intervene, testing the country's relationship with US President Barack Obama and other western leaders. 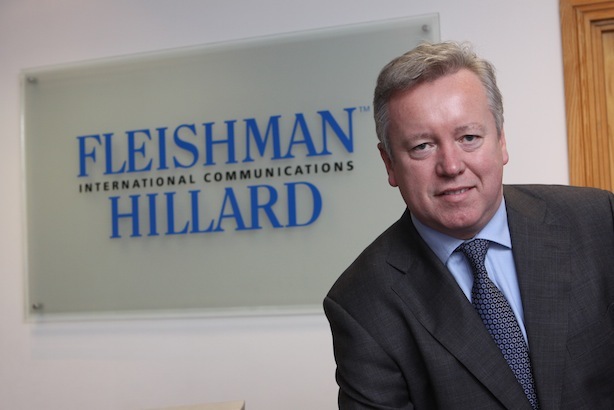 Saunders said that FleishmanHillard's office in Kiev is "still in a fledgling state", and since FleishmanHillard Vanguard is run by staffers in Moscow, closing the office has not negatively affected the firm's work with clients. He added that the agency has a number of Ukrainian nationals working in its Moscow office, and no clients served by the Kiev office were local accounts. Fleishman's Moscow office, which works with both multinational and local clients, is still open and has "no issues whatsoever", said Saunders. He added that he has heard that the fighting in Kiev was mostly restricted to other parts of the city and there is still commerce taking place, with "people out shopping and buying consumer goods and getting on with life".